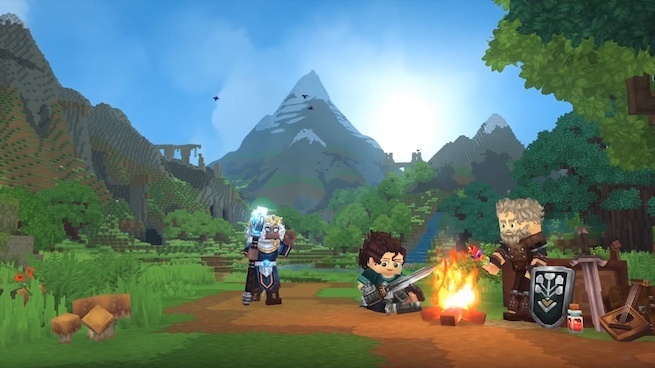 Back in December, Hypixel Studios announced its debut game, Hytale, a sandbox role-playing game that wears its Minecraft influence on its blocky sleeve. A month later, and the announcement trailer for the game has exploded to 31 million views, suggesting there may soon be a new Minecraft competitor. To put 31 million views into perspective, Fortnite's Season 5 trailer — the most viewed gaming trailer in 2018 — racked up 48 million views in six months. Hytale has 31 million views in less than a month. That's pretty damn impressive. So, what the heck is all the hooplah about? Well, for one, the game looks pretty darn good. Two, Minecraft is one of the biggest games of all-time and is still very popular, and so when a game comes around evoking it, there's a massive potential audience to come clicking. And lastly, because of who is developing the game. Hypixel Studios isn't just a random development team out of nowhere. It's a team that created the huge Minecraft Hypixel server. And as you would expect, the massive following it created with that has followed the team over to Hytale. Oh, and the team has the support of Riot Games — the makers of League of Legends — which doesn't hurt. Hytale is in development for PC. At the moment of publishing, there's no word of a release date or console ports. For more information and media on the game, be sure to peep its official website. And of course, feel free to leave a comment letting us know what you think. How does the game look? Will Hytale takedown Minecraft?